Parker’s ORFS (o-ring face seal) technology has long been a favorite of the fluid and gas handling industry. However, sometimes the severity of temperature conditions or corrosive environments leads to inevitable wear and tear on the elastomeric seals; the more intense the conditions, the more premature the deterioration. In such extreme conditions equipment downtime can be a frequent and expensive issue that may have no obvious solutions. Identifying the need for help in intense circumstances, Parker has engineered a stainless steel variation of the tried and true ORFS technology dubbed Seal-Lok Xtreme. A key component of the Seal-Lok Xtreme stainless steel fitting is the use of a patented stainless-steel metal sealing ring which allows operation in a temperature range of -328°F to 1200°F [-200°C to 650°C] at up to 6,000 psi. To achieve such extreme tolerances the entirety of the stainless steel fitting body is manufactured from SAE/AISI 316/316L stainless steel materials, with an added benefit of corrosion resistance. 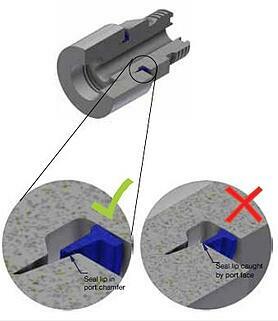 Parker’s Seal-Lok Xtreme features unlimited reusability. Additionally, the zero-clearance interface enables quick and easy tube assembly and disassembly coupled with a field-replaceable seal for easy maintenance. Seal-Lok Xtreme stainless steel fittings provide excellent resistance to over-tightening, loosening, and galling. Highly resistant to over-torque, Seal-Lok Xtreme is able to withstand 200% torque above the rated value without any damage to the fitting. This generates the possibility of unlimited reusability, as well as reducing loosening due to vibration. A special dry film used in lubricating the nuts further provides the benefit of reduced galling. 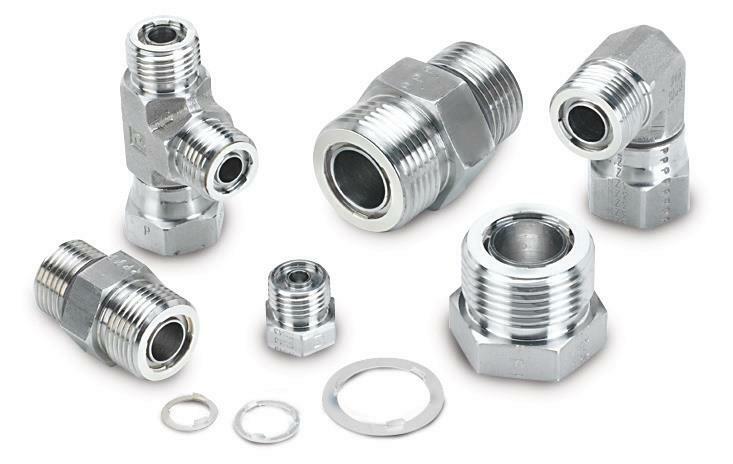 Parker Seal-Lok Xtreme stainless steel fittings’ nomenclature is similar to traditional Seal-Lok, with the following changes: Add ETS to the end of the part number (to indicate stainless steel sealing compatible). 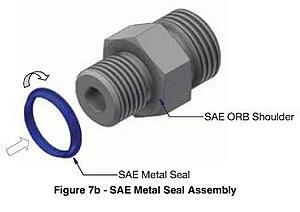 Replace the O (indicating o-ring) with a 9 (indicating metal seals). Material Note: Seal-Lok Xtreme is available in 316 stainless steel. For other materials please contact the Tube Fittings Division.